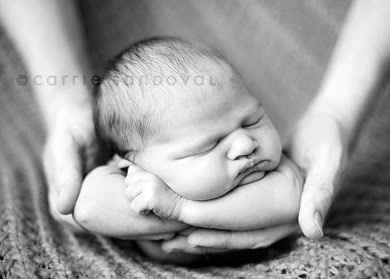 Today I love this squishy image by Captured by Carrie. Oh and FYI. . . shot at f/1.8. . . true story. i just want to squeeze that wittle face! Checked out her blog -- wow, she's good! Could that baby BE any more cute? S/he looks like she melted into that position--warm wax. I love this picture today too. So cute and squishy.